As this is a Christmas gift guide, a lot of sparkle is included obviously. Similar to one of the last year's posts, this one is also filled up with H&M goodies. 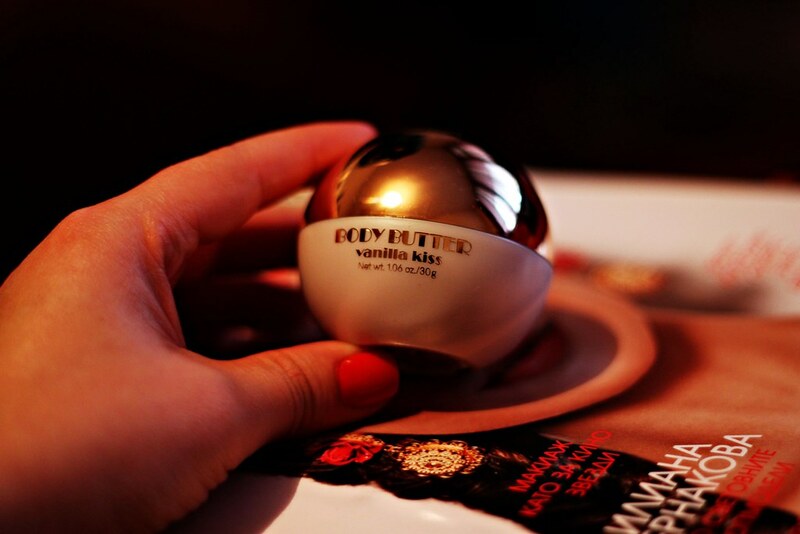 Let's begin with this little set of skin care products called Vanilla Kiss, quite similar to last year's Vanilla Frost. My favourite of them, of course, is this sparkling bottle of magic, also known as body splash. Last year the sparkling one of the range was the Creme Caramel scented body splash, but I personally prefer this year's Vanilla Kiss. And can't wait to try it out on Christmas Eve. The second product of the set is this travel size shower cream - it does not only smell amazing, but also it looks exactly like real frost. And the third one is a body butter. Honestly, I'm a bit confused of its little size, but at least it looks like a Christmas ornament and is perfect for travelling. 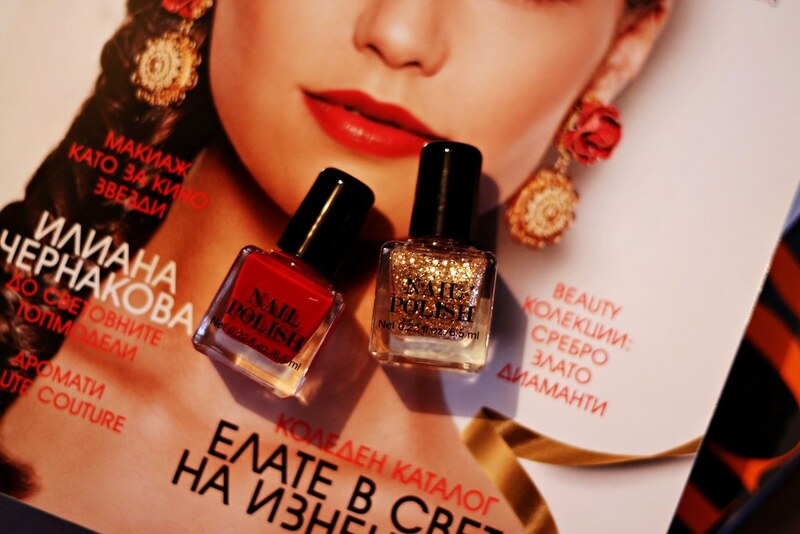 Obviously, red and golden nail polishes are a must this time of the year. Mine are from H&M holiday set, but you could choose from any brand you personally prefer. And last but not least, put some sparkle on your lips. There isn't a girl who would say that she got enough lip glosses.. My favourites are not that sparkly though, but you got the point. Those are my suggestions for the beauty lover in your life or simply some little pleasures to get for yourself. Also all of these products are perfect stocking stuffers, combined with some holiday candies, of course. P.S. You can check out my last year Christmas Gifts recommendations here and here. Публикувано от Десислава Валентинова в 11:15 ч.